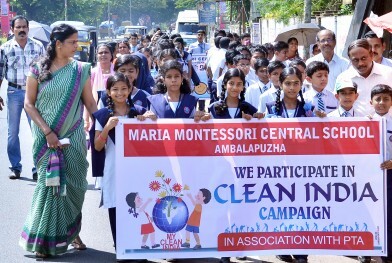 At Maria Montessori, we believe that every child must bring out their sporting talent in order to develop their necessary personal and interpersonal skills as well as gain personal meaning from participation. The school has reserved one working day of the week (Wednesday) for physical training and education. The physical education program includes exercises and participating in games. The children have an opportunity to participate in various team and individual sports like football, cricket, athletics and badminton etc. 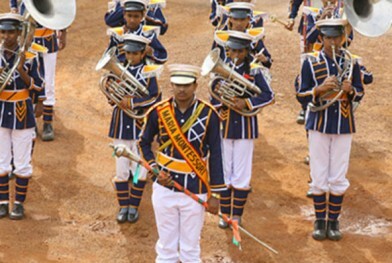 In order to promote competition and bring out sporting talents of the students, the students are grouped into four houses. The four houses are Gandhi House, Nethaji House, Nehru House and Tagore House. 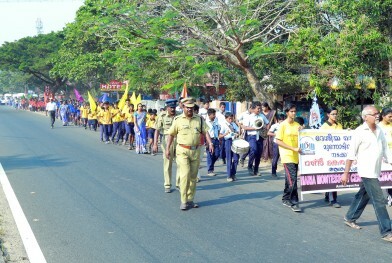 The Houses compete with each other in the Sports and Games competition that are held every year. 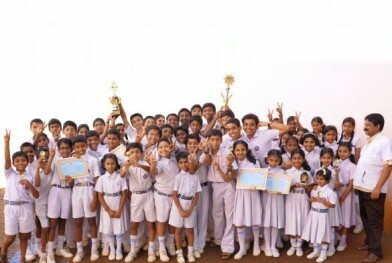 The winners and best performers of the competition are awarded medals and trophies and they are sent to represent the school regional and inter-school competitions. 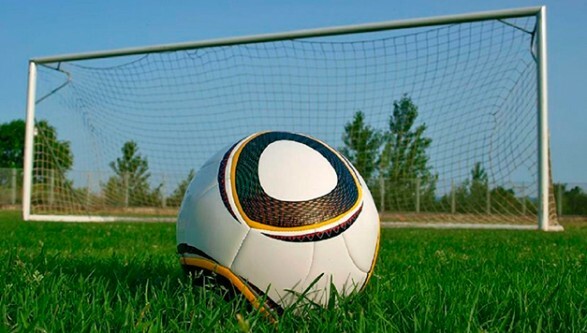 Our school lays emphasis on Football and also provide the finest coaching for students. We also take pride in possessing one of the finest school-level football grounds. The well-renowned Football team at MMCS has won the Sahodaya Football match for two consecutive years, and they never fail to make us proud. 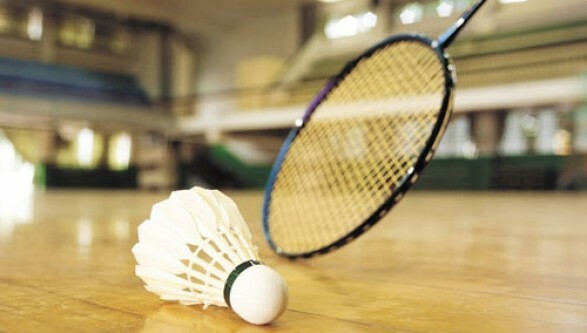 We understand that badminton is a popular sport amongst our students, and we also provide our students with the facility to play Badminton both indoor and outdoor. Karate is a widely accepted martial art in our country, and at MMCS, we ensure that our students get the best training. We provide weekly Karate classes for our students. Our school provides facilities to children where they get exposure to popular international forms of art, and Taekwondo, a Korean martial art is one among them. Students are given training every week by a professional trainer. 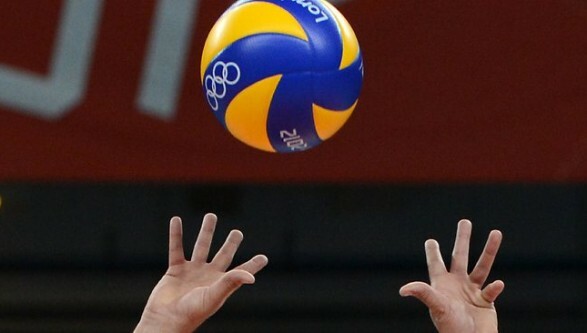 A popular sport amongst children of many age groups, Volleyball has been introduced to our school as well. Students are trained by a best-in-class coach from our Physical Education department. Being a school which lays importance to physical education, we provide our students with the coaching necessary to enhance their athletic abilities. Many track and field events are conducted on our Sports day which is an event actively anticipated by many young athletes in school. Many of our students are passionate about Cricket, and at MMCS, we provide them with all the necessary training to excel at the sport. 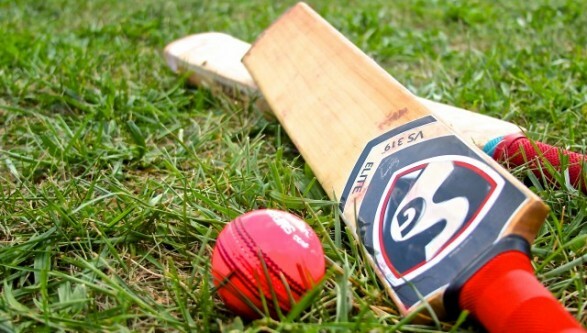 Cricket matches are conducted from time to time as a part of building our school team spirit.